By Grover Washington Jr. Arranged by Wayne Land. Score, Set of Parts. 57 pages. Published by Kenneth Wayne Land (H0.538077-SC000002564). Grover Washington, Jr.'s legendary tune, arranged for saxophone quartet with Bass Guitar and Drums. (alternate Bari Sax part included for when there is no bass guitar). Everyone gets to take the lead at some point with plenty of ensemble expressions, great harmonies, and optional improvised solos for all. If everybody solos, the tune can run about 6 minutes in length, otherwise about 4 minutes but it does not get redundant. This is a really nice chart. 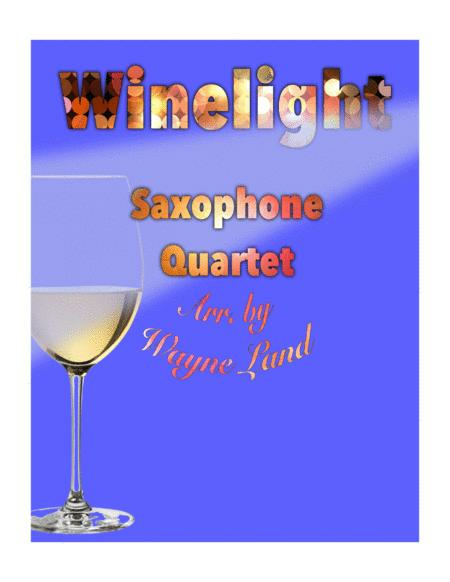 If you'd like to hear an audio of the entire tune, visit <a href="http://www.musicplay.com/sax-quartet-arrangements.html"</a> and scroll down.